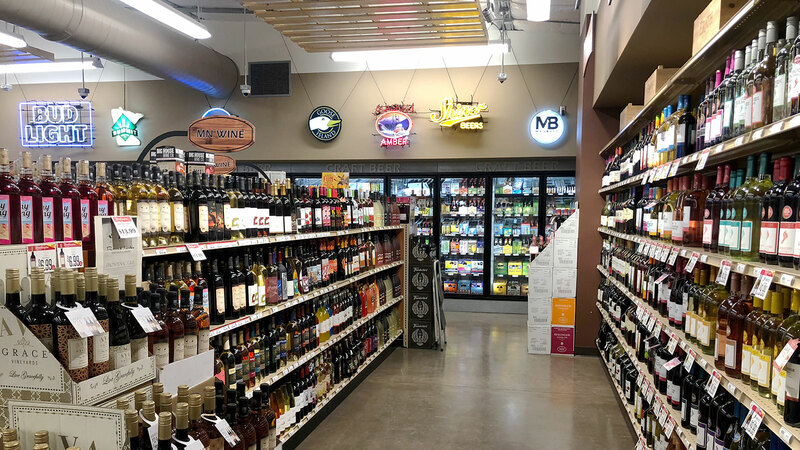 City officials had three goals for the town’s new liquor store: Attract more customers, produce a better shopping experience, and provide sufficient space for inventory. 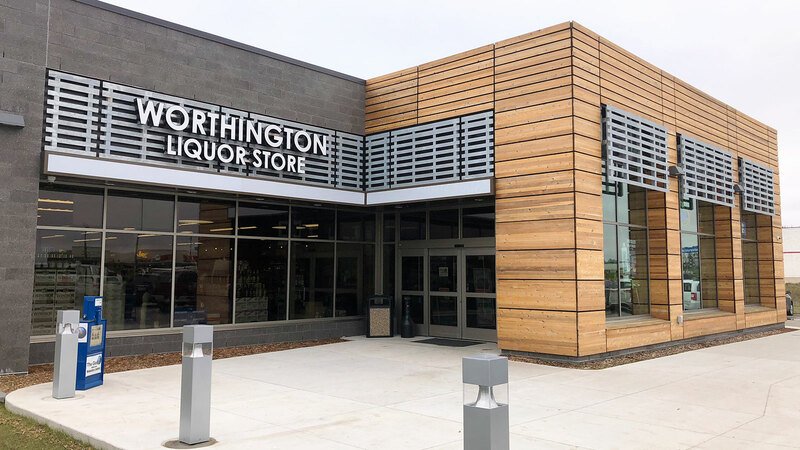 TSP worked with the city to select a site that included adequate space for parking as well as the store itself. Local leaders also wanted a highly visible, attractive façade. An existing property in a prime location offered the right mix. 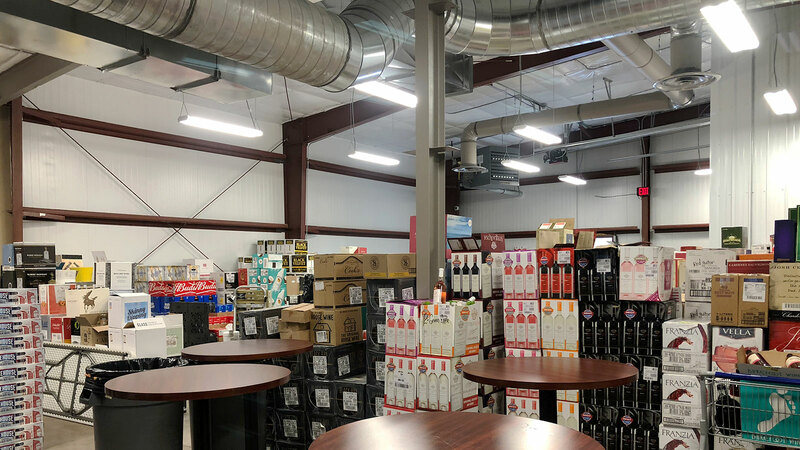 The former Dollar General store needed a back addition to serve as a receiving and warehouse area. 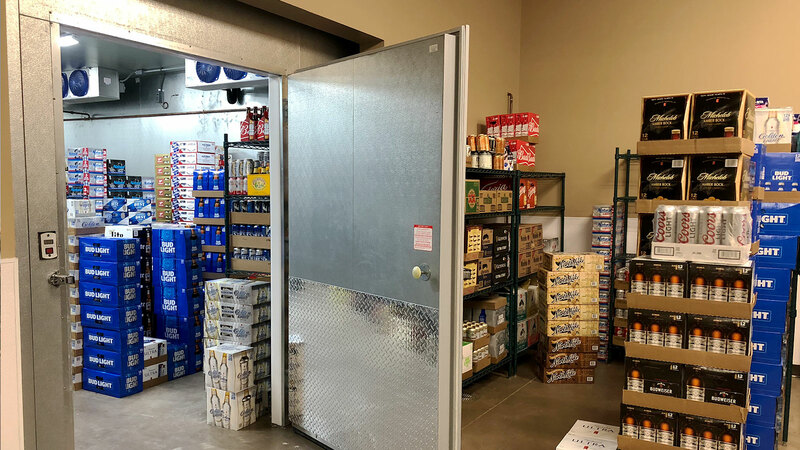 Another, smaller addition at the front provided a new entrance, accessible restrooms, and a 6×13-foot elevated stage to host seasonal displays. Large windows convey natural light well into the main retail space. 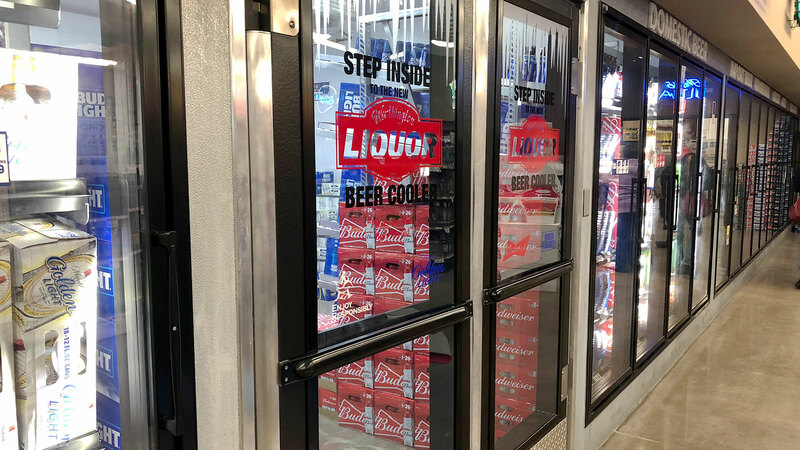 The store’s horizontal glass panes are tinted brown to mimic the color of beer bottles and reduce glare from car windows. 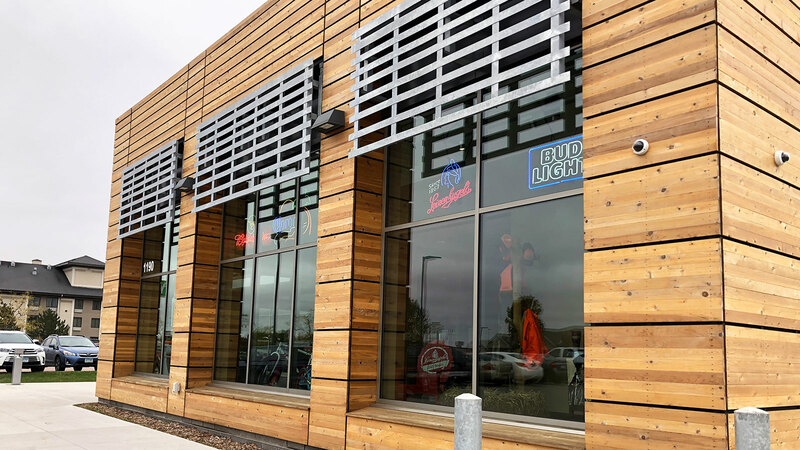 Architectural metal panels contrast with knotty cedar on the exterior. 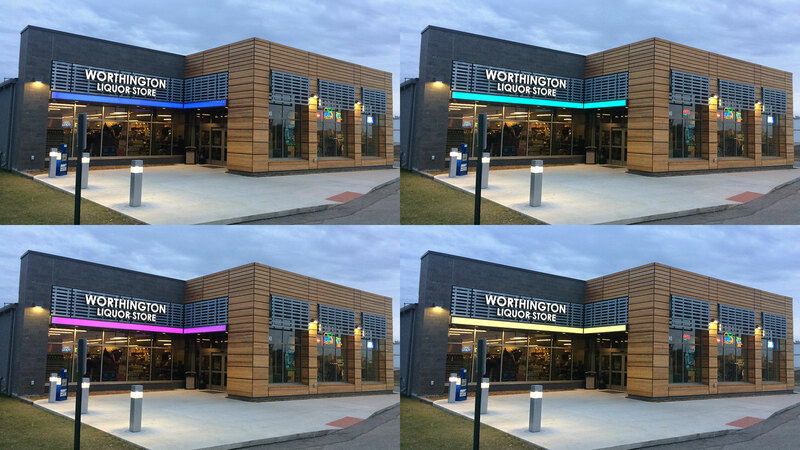 An LED light below the store signage changes color at night.